These six body-based alternative therapies are safe for Parkinson's disease patients — and have research to suggest they actually work backing them up. Which one do you fancy? Because there is no cure for Parkinson's disease, treatment focuses on symptom management. Although conventional medicine offers effective solutions in the form of medications, the deep brain stimulation surgery, and physical therapy, many patients additionally seek to improve their quality of life with the help of alternative medicine. The realm of alternative medicine includes anything from extremely dangerous "treatments" that don't deserve to be called that, to well-researched and very safe therapies that will make your life a lot easier. Here are six treatments that won't pose a danger (as long as you also continue taking your medications), and have the potential to offer you at least subjective improvements in your symptoms. The physical aspect of yoga can strengthen your muscles, help you feel less stiff, and increase your flexibility. The mental aspect of yoga — meditation, relaxation, and breathing techniques — can increase your emotional wellbeing. Feeling better can have a knock-on effect; it may lead to symptom improvement. While few studies exists on the benefits yoga has for Parkinson's patients specifically, these benefits are well worth it. Tai Chi is another ancient mind-body discipline, this time from China. It features slow, dance-like movements that will help both people with Parkinson's and those without achieve better balance and posture. Some people believe that Tai Chi helps reduce the risk of falls because of this. The great beauty of Tai Chi is that you do not need to be strong or fast to be able to participate; your instructor will meet you where you are. 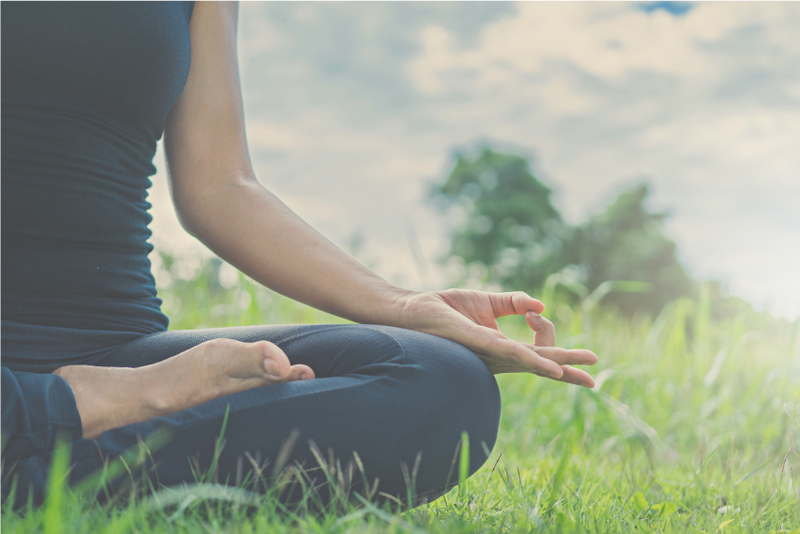 In addition to the physical benefits, Tai Chi's breathing exercises and meditation can offer you a sense of increased peace and wellbeing. While Tai Chi is very much a case of "if you try it and it makes you feel better, it works for you", a small study did find that Parkinson's patients have slightly reduced motor symptoms after several months of practicing it, as well as that they feel better mentally. Who doesn't like a nice massage? Not only can massage help you temporarily reduce stiffness, it also helps you relax — not unimportant, because stress can aggravate your symptoms. The pressure your massage therapist applies helps you relieve those tense knots in your muscles, while reflex action stimulates your nerves and can thereby impact even parts of the body the therapist never touched. This ancient Asian form of medicine can improve your appetite, help you relax, boost your energy, allow you to sleep better, and plays a role in fighting stress — things from which anyone can benefit. A study shows that acupuncture may also have Parkinson's-specific advantages, as it may reduce tremors, rigidity, and pain, and improve your gait. Hydrotherapy — or simply water therapy — is another popular form of alternative medicine. Different kinds are available, but research shows that hydrotherapy can help Parkinson's disease patients by increasing mobility, flexibility, coordination, and balance, strengthening the muscles, and reducing pain. Exercising in water carries a lower risk of falls, so may be a safer alternative to other kinds of exercise. In addition, many people find water extremely relaxing, something that can improve your mental wellbeing. Research found that Parkinson's patients who tried hydrotherapy had better Unified Parkinson's Disease Rating Scale ratings after a while, suggesting quite a lot of potential. Research backs up the idea that these slightly unorthodox therapies, which might not sound like treatments at all at first sight, are indeed viable options for people with Parkinson's — they're safe, non-invasive, low-cost, and enjoyable, and they have a good chance of helping you. As long as the alternative remedy you're hoping to explore is safe — and these are, with the possible exception of a risk of falling during yoga, Tai Chi, and dancing — all that really matters is that you feel better. What remedies are used in parkinson's disease? My husband suffers from parkinson's and started having difficulty swallowing!